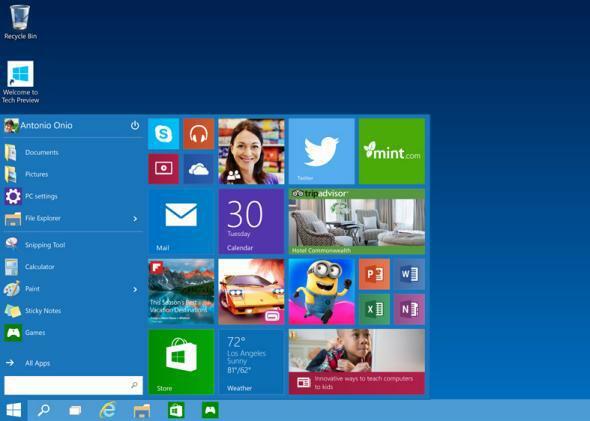 Microsoft Windows 10 operating system: Windows 8 was so bad it's skipping Windows 9. Why Windows 10? Because 7 ate 9. On April 1, 2013, Infoworld published an article headlined, “Microsoft skips ‘too good’ Windows 9, jumps to Windows 10.’” A disclaimer at the top clarified that the story was an April Fool’s Joke, but it now appears that wasn’t necessary. On Tuesday, Microsoft announced that it will indeed be skipping Windows 9 and jumping to Windows 10 as the name for its next operating system. No joke. Company executives did not spell out the logic behind the numerical leap from the current version, Windows 8, except to say that the new version won’t just be an incremental improvement. I guess they figured Windows 8 was so criminally awful that any version called Windows 9 would be judged guilty by association. Either that or Windows 7 ate 9. “Windows 10 represents the first step of a whole new generation of Windows,” a company executive said in a statement Tuesday, which seems like about as close to a confirmation of that theory as we’re going to get. Among other changes, the new version—which could come next year—promises to mostly ditch the tiles that users so hated in Windows 8. Instead it will bring back the retroactively beloved Start menu from Windows 7, which remains the world’s most popular desktop operating system despite being five years old. (Windows XP, at a hoary 13, is still second despite Microsoft’s increasingly desperate attempts to kill it off.) Windows 10 will also be designed to adapt to all different categories of devices, from PCs to tablets to phones, with different interfaces tailored to each one. Microsoft has not set an official timeline for Windows 10’s launch, and the version it showed on Tuesday was only a preview of the final product. That said, here are a few screenshots to give you an idea of the basic layout. The Start menu is back by popular demand. 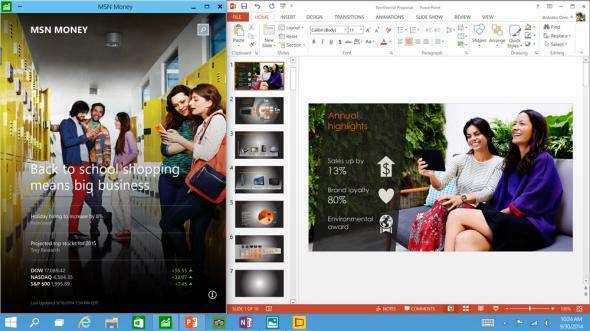 “Apps” can now be opened in their own windows, just like old-school applications. 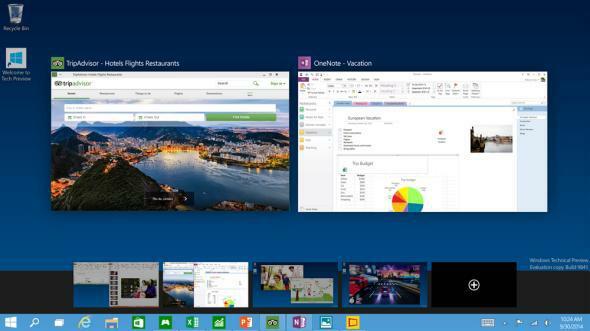 In a more typically Microsoftian move, Windows 10 will allow you to switch between multiple different desktops for different situations. Hey, they had to make something gratuitously confusing. It looks … comprehensible! And functional! If that turns out, miraculously, to be the case, grateful Microsoft users won’t care what it’s called. After all, Microsoft is hardly the first tech company to flout ordinal conventions in naming their new products. Apple’s first iPhone was followed by the 3G, then the 3GS, and then the 4. BlackBerry recently hopped from BlackBerry OS 7 to a new system called BlackBerry 10. Nor is this a new phenomenon for Microsoft, which followed the Xbox with the Xbox 360 and then the Xbox One. Its own history of Windows release names is studded with NTs and XPs and MEs and Vistas in between Windows 3 and Windows 7. To make things more confusing, each of those Windows names also has a formal release version number. For instance, Windows 95 corresponds to 4.0, Windows 2000 to NT 5.0, and Windows Vista, 7, and 8 to NT 6.0, 6.1, and 6.2, respectively. Phew. 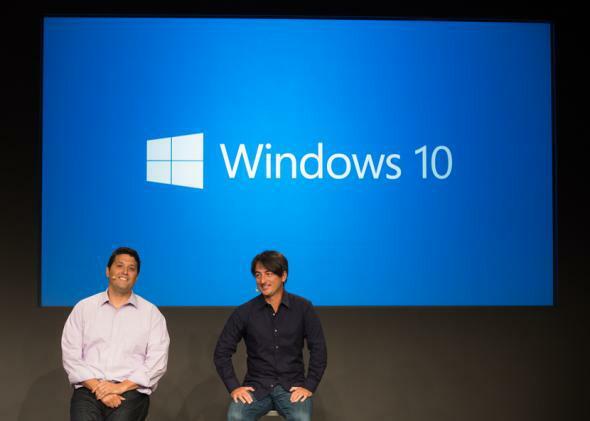 The only question now is what Microsoft should call the eventual successor to Windows 10. With strict numerical progression out the window, the company’s options are literally infinite. Eleventeen? 1984? Millennial Edition?